Recent reports have shown that homeownership among Millennials is down, though nobody is certain exactly why this is. Some people are of the opinion that Millennials just aren’t interested in owning a conventional home. Whether that’s due to cost, environmental concerns, or just plain aversion to traditionalism, here are 22 ways that Millennials can embrace alternative living. When some people think of yurts, they think of glamping (glamorous camping), but not necessarily of “living,” per say. 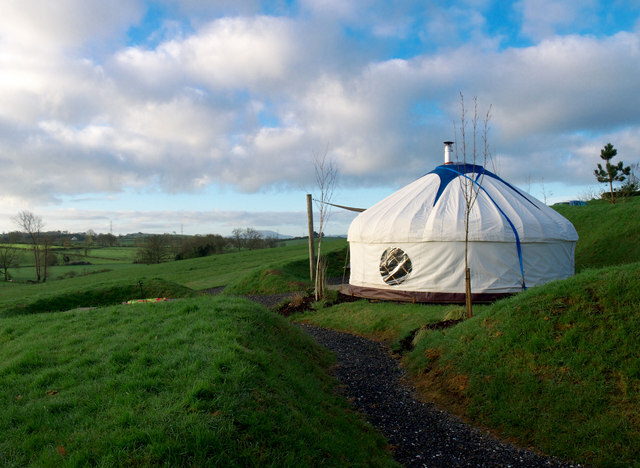 Nevertheless, yurts are catching on as actual living spaces, though they’re not as “glamorous” as some of the posts you might see on the internet would have you believe. This didn’t stop Grace Brogan and John Kamman from living in one, though! Despite living in one of the coldest places in the U.S. (Minnesota), regularly having to stoke a fire at 3 AM, and dealing with ice on the outhouse toilet seat, this couple bought their used yurt for $5,000 and hadn’t looked back. Yurts, of course, can get pretty expensive–between $22,000 and $28,000 depending on certain features, and it’s better to get an expert to build one for you than to try to DIY. Abod shelters are small houses built from corrugated steel and fiberglass and designed to provide a cheap, affordable way to house those who have little. The layouts can be customized, and the units are easily connectable if residents want to form a larger house. From their website, abodshelters.com: “Abod homes are high concept design and often lower cost versus standard construction… An entire single unit structure can be completed in one day by 4 – 5 people… means of preservation are built into the structure, such as being made from non-combustible materials to help prevent fire.” Abod shelters are meant to be affordable, and cost just below $5,000. Tree houses have been steadily growing in popularity, so for anybody that has ever wanted to live like an Ewok, there’s never been a better time to make a home in the foliage. 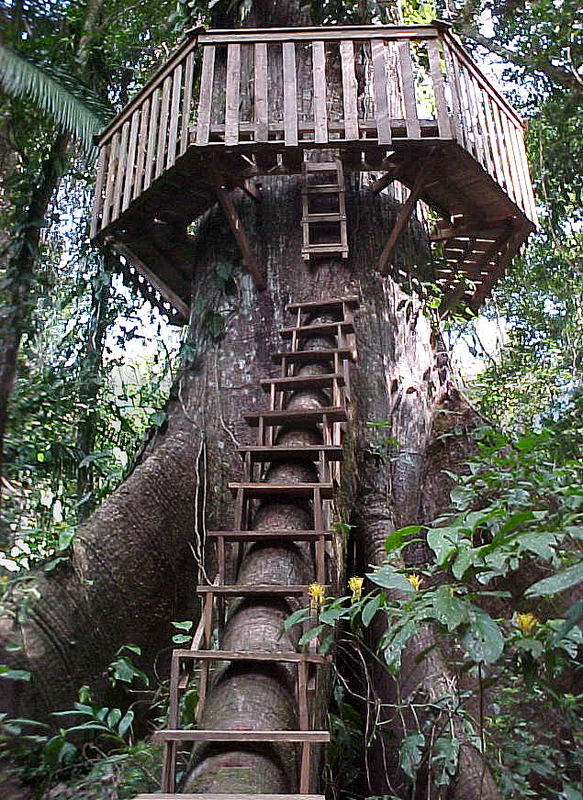 Tree houses range in size from large to small and can be as glamorous as you want them to be, ranging from a three-story mansion to a bird’s nest made of sticks. If you consider yourself outdoorsy, you’ll need more than scrap wood and a hammer, but you can absolutely build your dream house in the trees. If you’re looking to build your house out of green material, look no further than cob! Cob house construction is an ancient building technique where lumps of earth are mixed with sand, straw, and water to create a sort of earthen concrete. The construction method is so easy that one farmer hand-built a cob house for a meres $250. While building a home out of wet earthy mixtures might sound unappealing, some of these cob homes are quite beautiful. As with any of the projects on here, make sure you look into what you’ll need before going out to do it yourself. 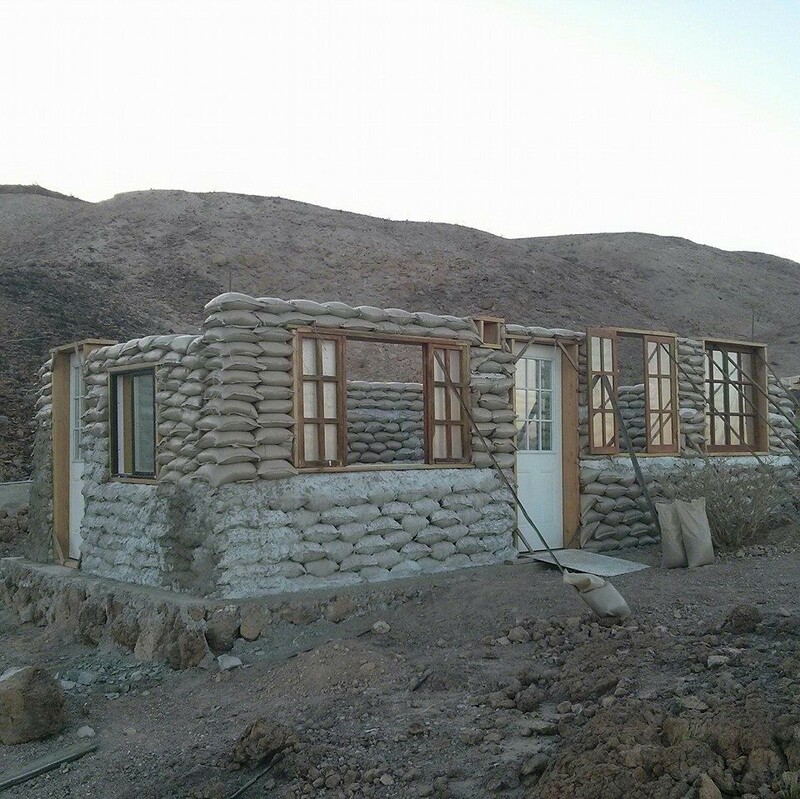 Earthbag buildings use polypropylene rice or feed bags filled with soil or insulation that are stacked like bricks and tamped flat. Barbed wire can also be used to keep bags from slipping and to add tensile strength. 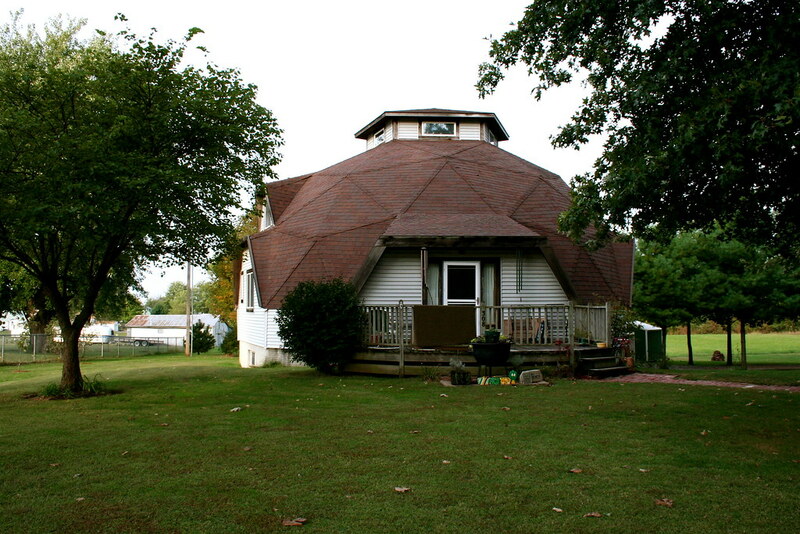 Atulya K. Bingham built her earthbag roundhouse for approximately $5,000 over the course of six weeks. She says: “I didn’t even know what a joist was when I started this project, so if I can do it, anyone can. You don’t need prior knowledge. You can learn the skills. But you do need determination, and some decent friends won’t go amiss either. Ecocapsule comes from a startup in Bratislava, Slovakia, with four full-time employees, and a product that aims to take owners off the grid in a green, sustainable fashion. The 15’ x 7’ x 8’ insulated steel and aluminum pod is 1.1-tons and is powered by solar panel and a miniature wind turbine. Co-founders Sona Pohlova and Tomas Zacek are looking into different, greener building materials, such as hemp, to move away from aluminum and fiberglass, and to make the unit more popular for the open market. While living in one of these little pods would be fun, you’ll have to pony up close to $90,000 to own one. Earthships are meant to be the ultimate testament to living sustainably, and if you’re itching to build one all you need is a little bit of land, a lot of know-how, and just as much trash. 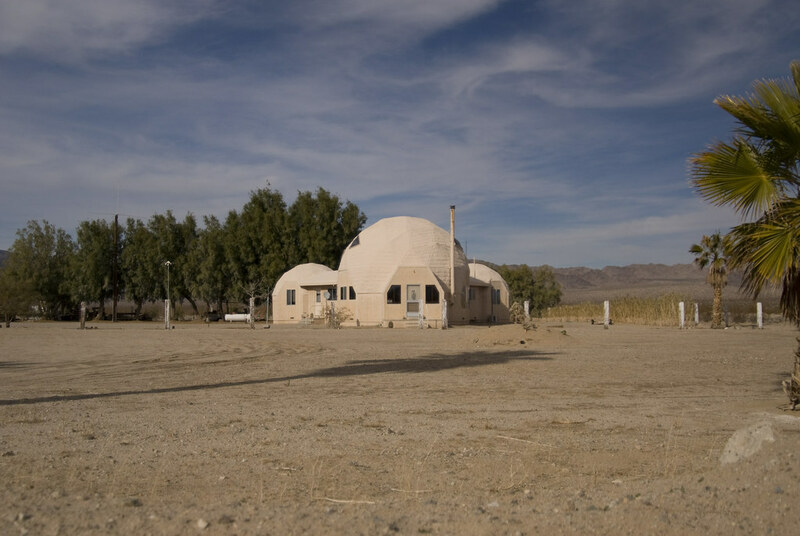 Earthships are built out of completely recycled material, and in certain parts are built like Earthbag buildings. These giant buildings depend very much on rainwater harvesting, and in the case of Malaysia’s first ever Earthship, constructed by Michael Reynolds, have a tank that can sustain about 50 people for three weeks in case there is no rain at all. With its own bacteria filter to clean the water and its own sewage treatment, the Earthship is meant to be self-sustaining for its inhabitants for years into the future. 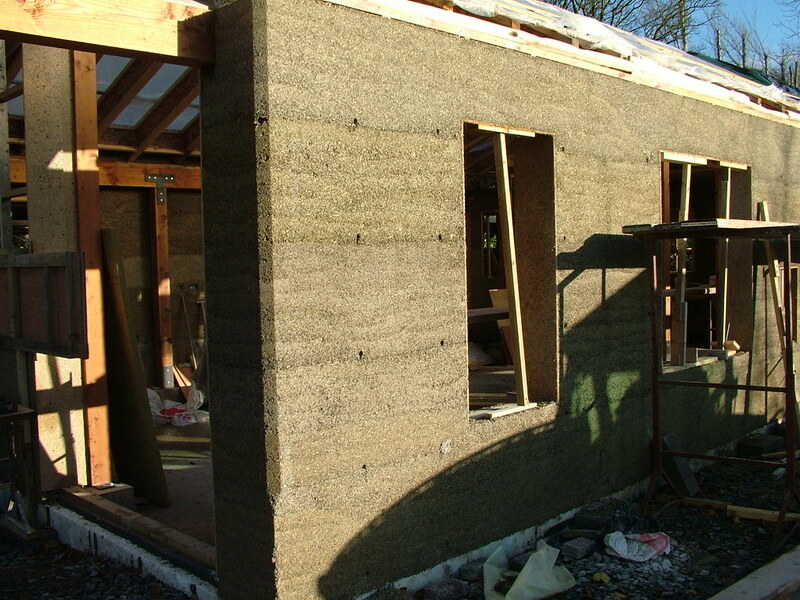 For those who’ve never heard of hempcrete, it’s a bio-composite made of the inner woody core of the hemp plant mixed with a lime-based binder. Unfortunately, hemp is not legal to grow in the U.S. because of laws regarding its psychoactive family member, cannabis. Nevertheless, hemp can be imported from the U.K., and soon should be available in North America via Canada. Hempcrete buildings as tall as 10 stories have been built in Europe, and some people have gone so far as to suggest that hempcrete is the world’s strongest building material and could change the way we build everything! Of course, the laws would have to change first for that to happen–but for individuals looking to build sustainably, this method closely resembles the cob house. An American architect, systems theorist, author, designer, and inventor named Buckminster Fuller patented and popularized many inventions and architectural designs, but none became quite as popular as the geodesic dome. These buildings are cheaper to construct than a traditional dwelling and are energy efficient. In fact, owners can save up to 30 percent on their heating and cooling bill, while building the structure with about 30 percent less lumber. Not only that, but many of these beautiful homes are resistant to natural disasters such as earthquakes, tornadoes, and hurricanes. On average, estimates for these homes are about $60 per square foot for the shell and about $130 per square foot for a fully finished dome home, but the real return comes over time, making these the perfect homes for long-term savers. Just make sure that if you’re going green while trying to save on materials at the same time, ditch the paper receipt and get it emailed to you instead! If you loved the houses peppering the countryside in The Shire, the fictional homeland of the Hobbits in the Lord of the Rings series, and you want to live off-grid in a virtually indestructible home, an earth berm might be just what the doctor ordered for you. Earth berms are built into the earth, usually into the side of a hill, and use the soil for walls and roof to stay insulated against the elements. In the summer, these structures are well insulated and keep cool air in, but the downsides are that they can cost up to 20 percent more to build than your average home. For some, that cost is worth it to be that much closer to nature. 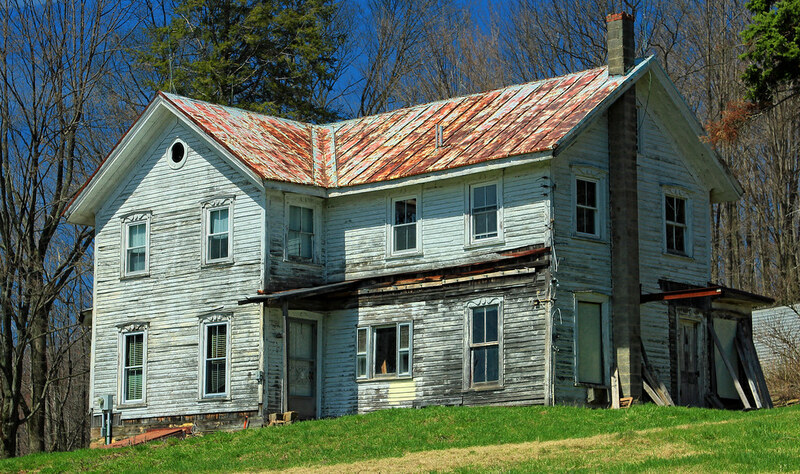 For those that want their dream home without having to pay that “dream home” price, a fixer-upper may just be the way to go. 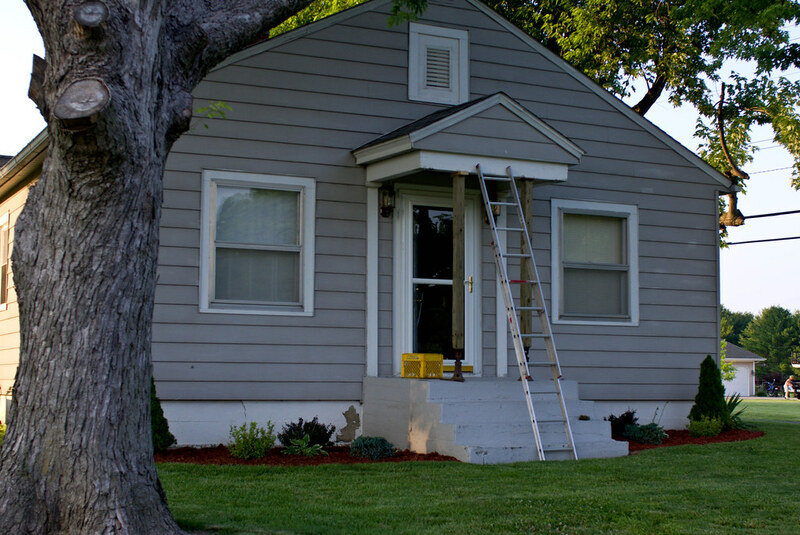 These humble little houses need some love, but many of the repairs such as cracked or broken tiles, squeaky hinges, and old window panes can be surprisingly easy fixes. Hold on for a second though, the amount of remodeling that can come with the purchase of a fixer-upper may just be enough to put your marriage on the rocks. Make sure you’ve done your research, considered your skill level, and made sure the remodel is cost effective before investing too much time and money into one of these dwellings. 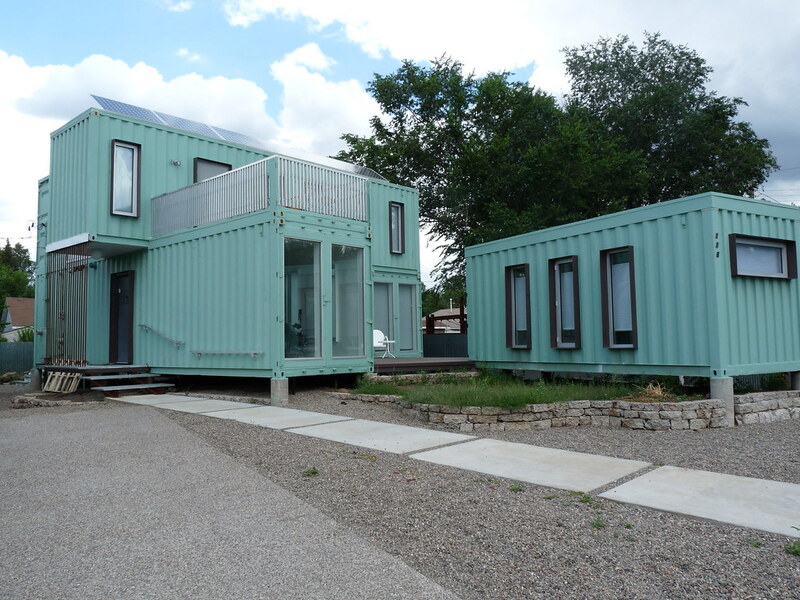 Shipping containers have become one of the new, crazy conversion items for not only living but also for farming. Because the average shipping container ends up costing between $1800 to $5000, plenty of folks think that shipping container living is cheap–but there can be hidden costs and plenty of other things you might want to consider before building a home out of one. First of all, make sure you check the building codes wherever you’re at; because shipping containers are new, they’re not legal in every municipality. Also consider that you’ll probably have to pay for renovations, insulation, and a myriad of other things as well. 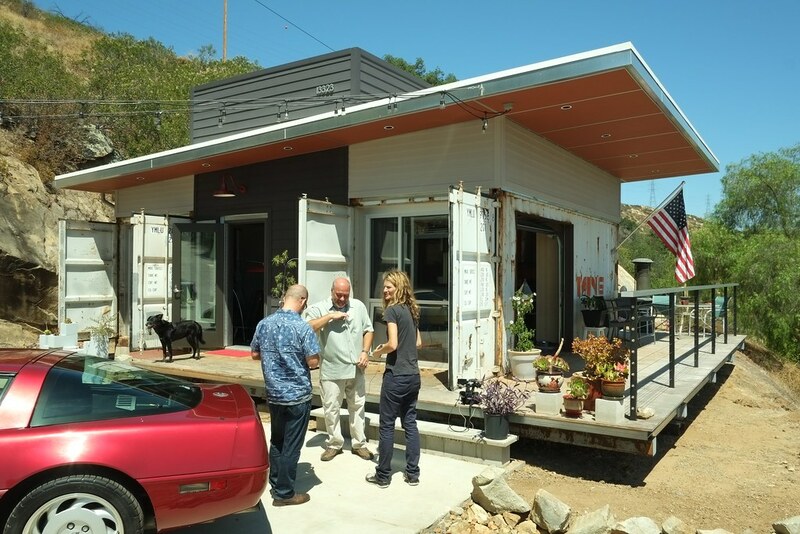 However, if you can get past those minor details and are still bent on recycling some old metal, check out a shipping container house! CountryLiving is calling silo homes the “next biggest thing in real estate,” and who knows? They could be right. These converted silos may look like plain metal cylinders on the outside, but on the inside, you’d get fooled right into thinking you’re in a house. The energy-efficient silo home, however, isn’t anything new–in fact, the idea has been around since at least 1982. This doesn’t mean, however, that you can’t get your own silo and turn it into a “grain bin” house. Because these silos are generally located on farm land, why not take the opportunity to utilize that fertile land and build yourself a green garden in addition to your green home? You’ll need something colorful on the outside to contrast with that metal! Have you ever looked at a billboard advertisement and thought “man… I wish I could be there.” Well, now you can! Sort of… Matej Nedorolik had the brilliant idea of turning billboard advertising into tiny homes for the homeless. The spaces look beautiful on the inside, but unfortunately, Nedorolik’s prototypes haven’t been put into widespread manufacturing yet, nor have they been accepted by governments to deal with homeless problems. Still, have hope that you too may somebody be able to jump inside some of the world’s most beautiful travel advertisements… and into a nice little house. Ever wanted to fire up the VW van and hit the road for a couple of weeks at a time? Have you ever been enticed by “lo-fi” filtered pictures on social media to join a herd of nomadic van-dwellers? Vanlife might just be the thing for you! But hold your horses; there are a few things you need to know before you set out. Living in a van might not be as glamorous as all of the #vanlife Instagram pictures make it out to be, but that doesn’t mean it won’t be for you. Julie Ellison, a van-dweller herself, writes about the true cost of van life, including the biggest expense, the van itself, and how building up the rig can take both time and money. Start small, and go out on the road for shorter stints at first, to see if the van life style is really for you or not. Perhaps you’ve decided that the van is just too small for you–in that case, why not check out a bus? Like the van, you’ll probably have to put in a lot of work to convert your bus into a liveable home, but don’t let that stop you: there are a lot of ways that you can turn one of those big yellow, metal tubes into a humble abode. Just don’t get too attached to too many things–living in a bus (like living in a van) is sure to turn even the most materialistic into ultra minimalists. Look at the bright side, though–at least you won’t have family members fighting over your will! If you have a little to spend and want all the amenities of regular life without living in a converted bus or van, then do what grandparents all across the U.S. are doing and buy a motorhome! In all seriousness, there are plenty of reasons that living in an RV is better than living in a house, including the great views, the ability to have a washer and dryer, as well as a shower, and even the ability to join RV clubs–but don’t think that motorhome life is cheap. According to blogger Jason Wynn, a year on the road can cost over $38,000 when it’s all said and done. Remember to cut costs by checking out Walmart parking lots, which are usually free and RV friendly! Maybe the compact, mobile life is a little too small for you, and you’d like a little more space. Trailer homes might just be the perfect option for you! Even though they sometimes get a bad rep, just remember that Matthew McConaghey, Pamela Anderson, and CEO of Zappos, Tony Hsieh, either used to or still do live in trailers–in fact, an estimated 20 million Americans live in mobile homes according to Census figures. The best part about mobile homes is that even though you’re parked most of the time, you definitely can move whenever you need to. Just research the neighborhood, hitch up the home and go! Sure, there may be a stigma attached to living in a trailer or a mobile home, but if you take care of your abode while realizing it doesn’t matter what anybody else thinks, you could be on your way to cheap, alternative living. This one’s for the unconventional unconventional-ist! If life on the road isn’t for you, maybe life on the waterway is. Some will opt for something that’s more house than boat, while others are more excited about the boating aspect. Sam Train and Francesca Spidalieri live aboard a houseboat with two bedrooms, one kitchen, and about 300 square feet of space, as well as the ability to move wherever they need to go. Their biggest expense? The marina fees where they dock once a month. Have you ever wanted to live in a something swanky, big, and well-decorated–but without having to pay much at all for it? 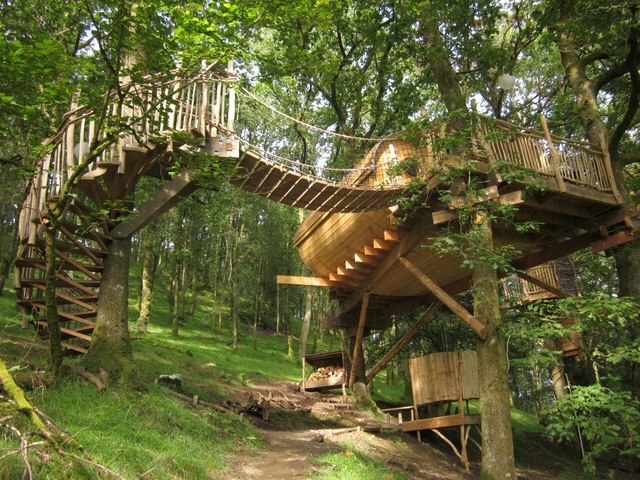 Or maybe you’re looking for something a little more tucked away, but with plenty of space for activities on the grounds–perhaps like slacklining? Well, that’s exactly what Jonny Douglas, 33, does in the UK, living in a three-storey mansion in Sheffield for £250 per month (about $330 U.S.). 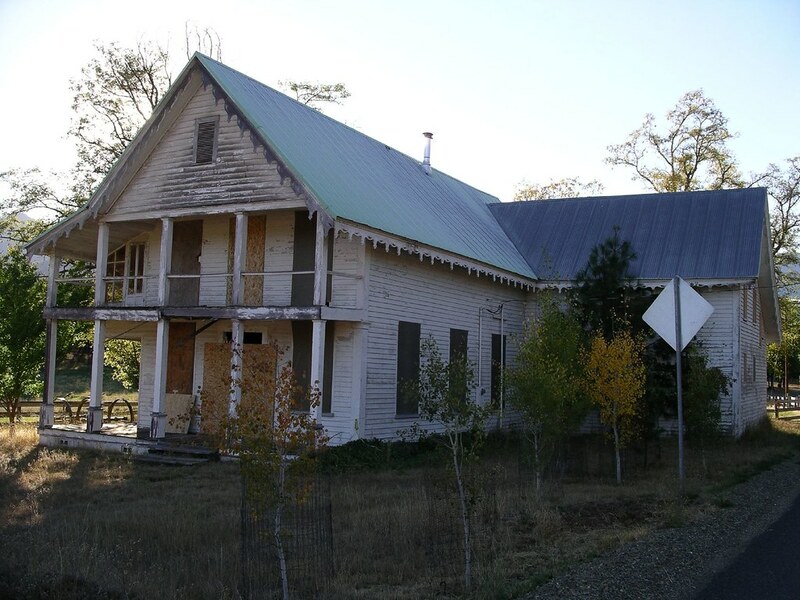 Douglas is a property guardian for a private home, built in 1777, and which has been used over the years as an asylum, a school, and a community center. With an acre of grounds for him to practice his slacklining hobby and about 1,100 square feet of space, Douglas’s biggest responsibility is help keep the property secure and report any problems that might arise, such as leaky pipes. The only downside is that his contract is limited, and residents may be given two-weeks notice that they have to leave–but that suits some people like Jonny Douglas just fine. A new way of going about home ownership lately has been the community land trust (CLT), a model of community land ownership that’s been gaining traction in as an affordable housing measure in the U.S., Canada, and the U.K. for the past 40 years. The CLT model works by purchasing land as a non-profit on behalf of a community and holding it in trust in perpetuity. 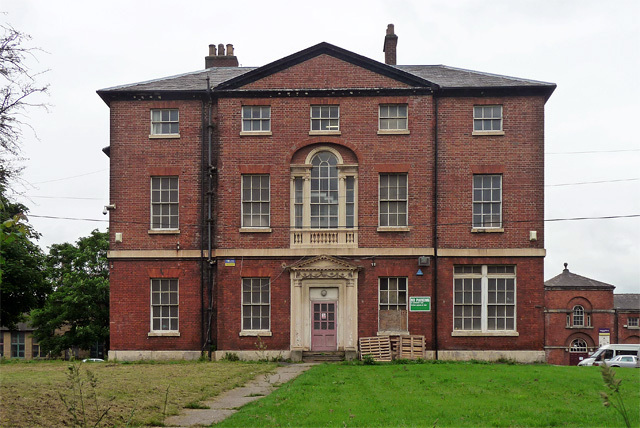 The non-profit can sell to tenants with repurchase options, and uses a previously-agreed upon formula to split equity with the buyer. In this way, much of the equity stays with the CLT, and the cost of that is retained within a trust. For those looking to start their own CLT, check out the National Community Land Trust Network. 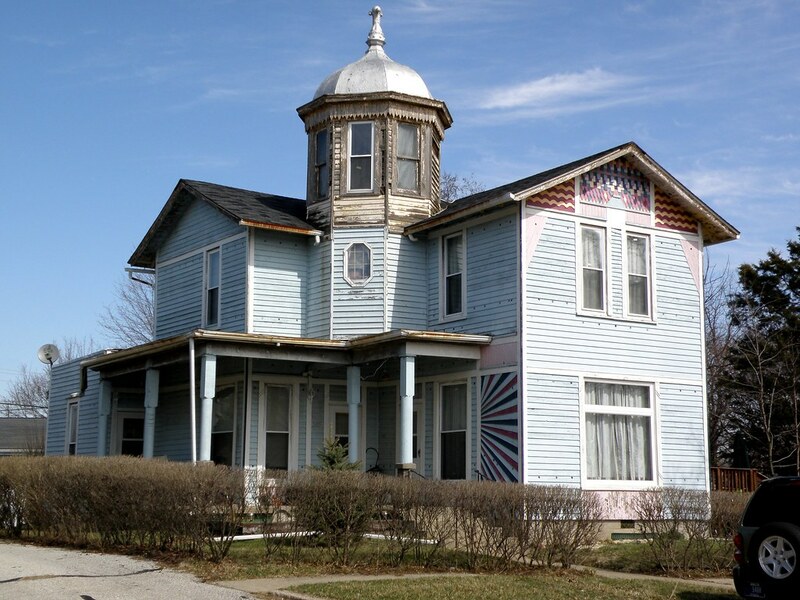 With these ideas in mind, you can now explore your own forms of alternative living! Be adventurous, but do your research. Life off the beaten path can be harder than you expect–but off the beaten path is usually where all the good fruit is.